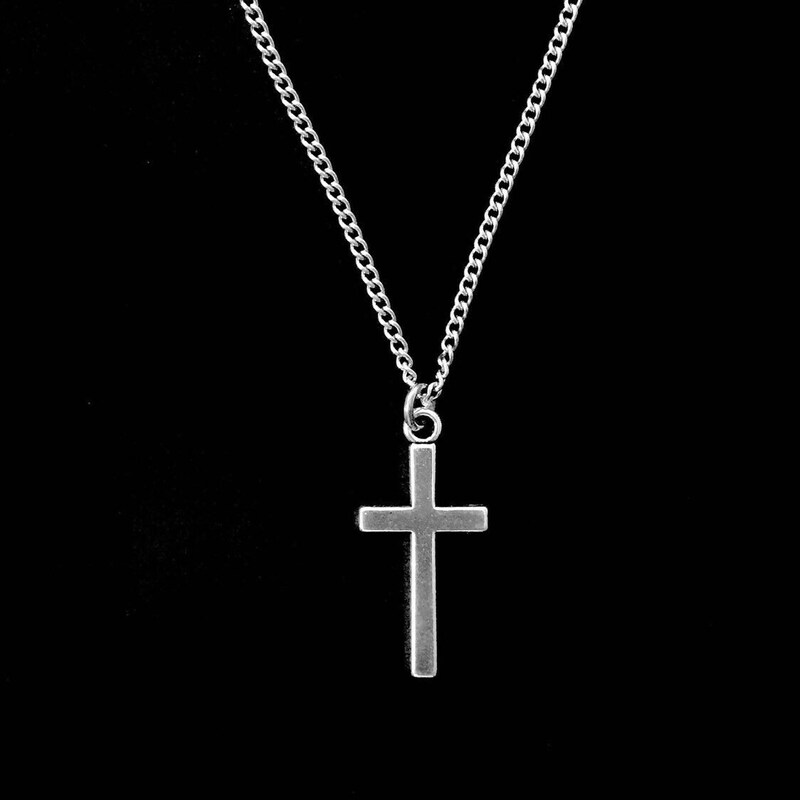 Silver cross necklace with stainless steel chain, Easter Gift, Mothers Day Gift, Cross for boys, Cross for girls, Unisex cross necklace. 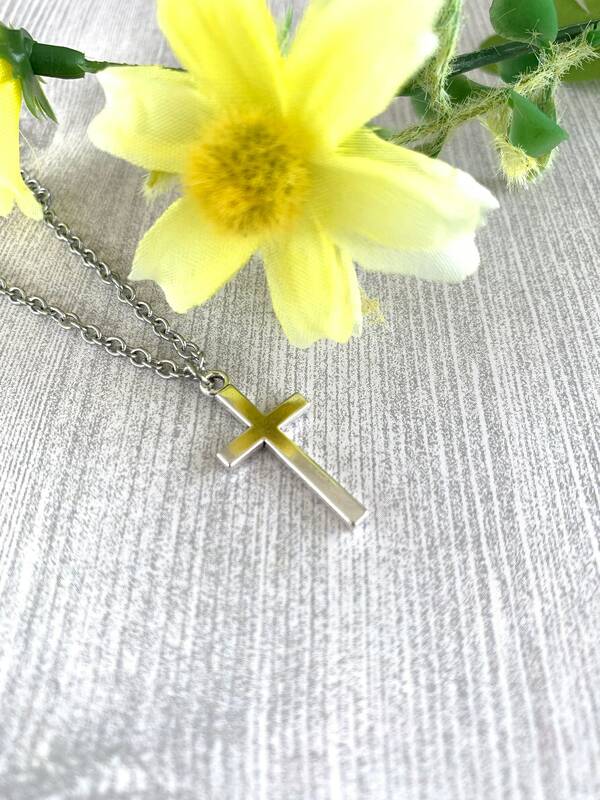 This silver cross necklace has a style that is simple, yet meaningful. 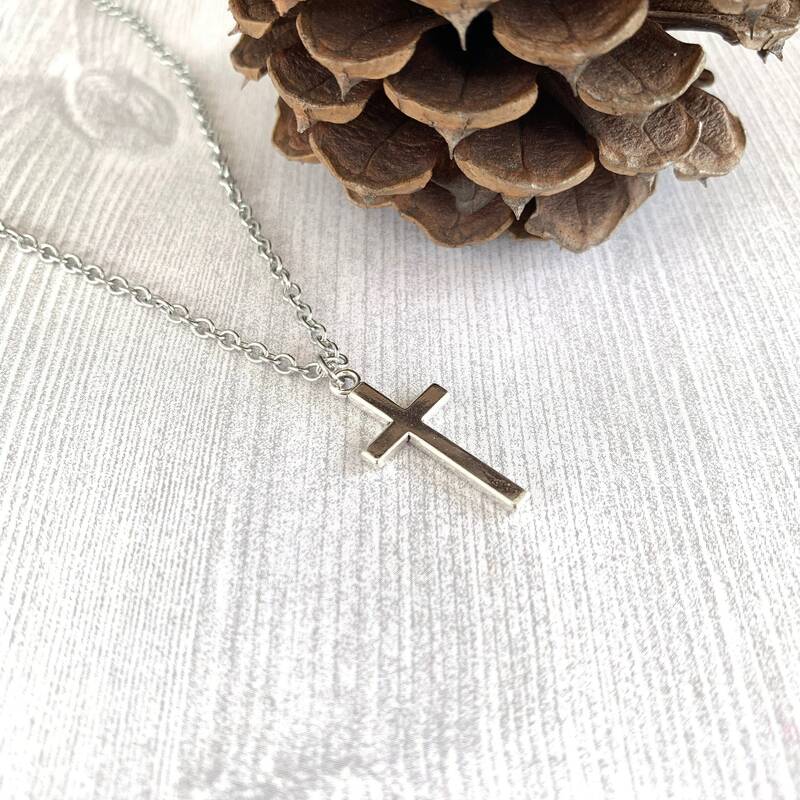 The cross is a silver-plate lead-free alloy and the chain is made of non-tarnish stainless steel in 2.5mm which is very strong for a small chain. Choose your gift box and coordinating jewelry pouch in the drop down bar. 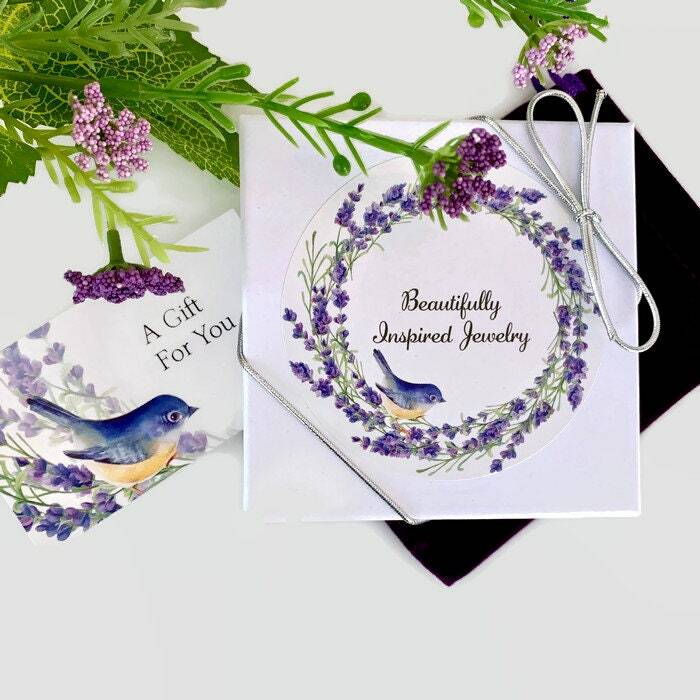 A pretty white box and purple jewelry pouch is nice for most women and girls. 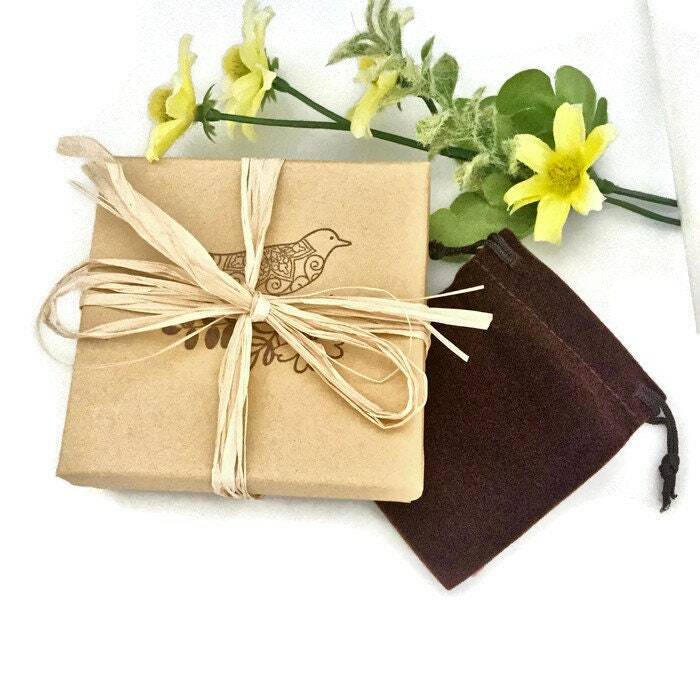 The natural kraft box with a brown velvet pouch is appropriate for men and boys, as well as unisex in neutral colors. 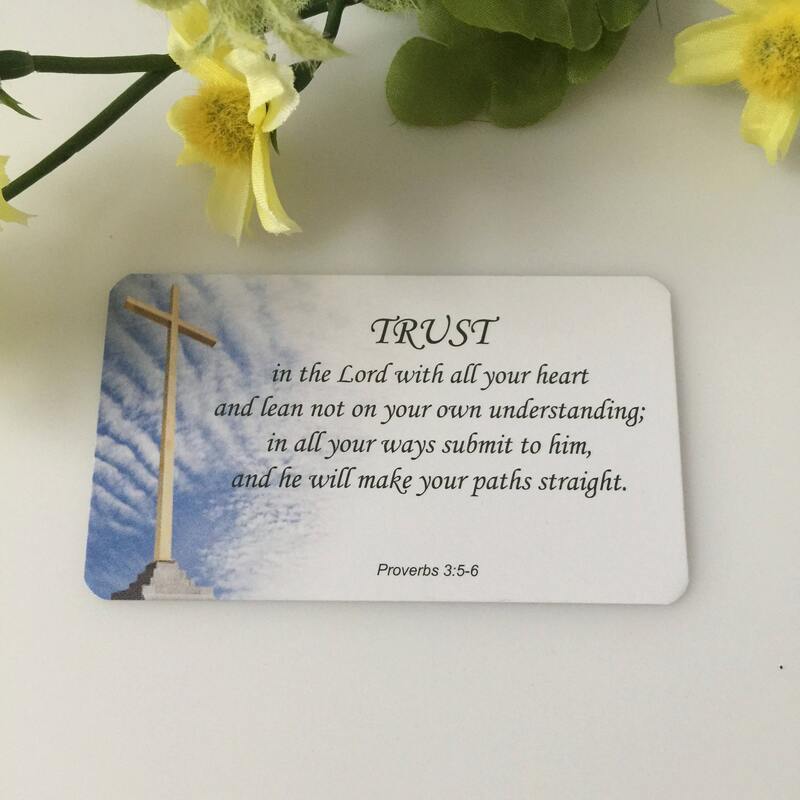 A wallet size scripture card is included for Proverbs 3:5-6. It has a cross on it and reads: Trust in the Lord with all your heart and lean not on your own understanding; in all your ways submit to him, and he will make your paths straight. This necklace is available in many different chain lengths. 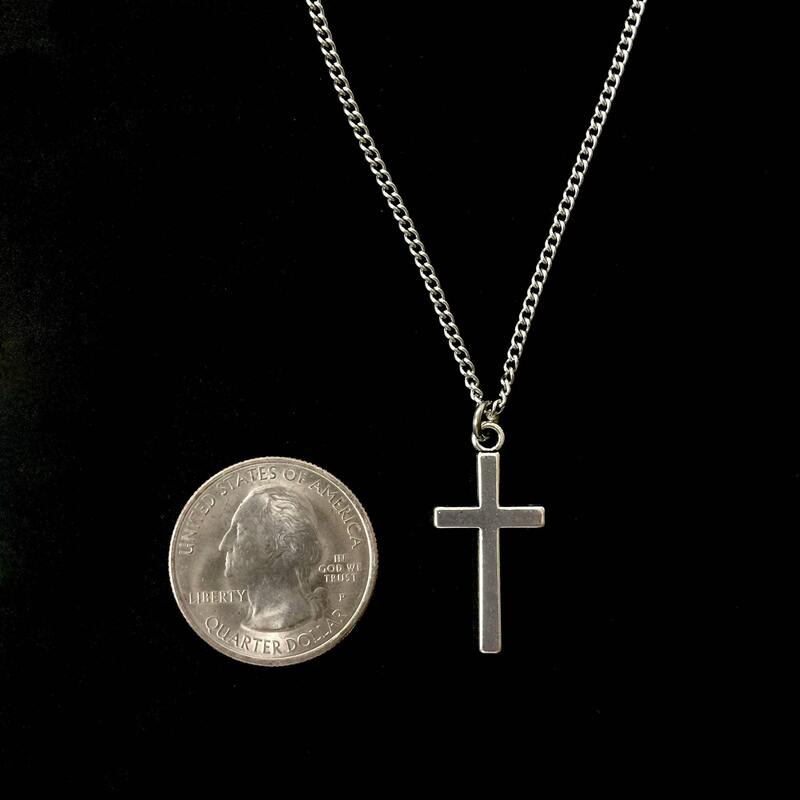 16" is recommended for children under 12 years, and longer length chains for teens and adults. Not recommended for children under 10 years of age. The necklace is durable, however it should not be worn in the shower or while swimming. Purchased the 16” length for my 11 year old sons birthday. It was perfect in length and great looking. This is such a beautiful piece. I love everything about it... size is perfect, quality is top notch and the packaging it came in far exceeded my expectations. Ordered for our 11 year old son and he wears it everyday. Wonderful purchase!